Years of experience in the field have helped us to develop a strategy for oilfield services that delivers reliable work, improved efficiency, and great customer service for our valued clients. Our fleet of roustabout trucks is completely outfitted to take on any scope of oilfield work! We ensure that each truck is clean, well-maintained, and fully stocked with all of the tools necessary for a job well-done. We are proud to own a wide variety of heavy equipment; including skidsteers, backhoes, trackhoes, bulldozers, cranes, and more. 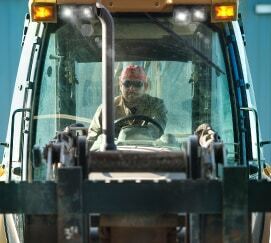 Both our equipment and our operators are top-of-the-line in safety and performance! We only purchase and operate the best trucks, trailers, tools, and heavy equipment. 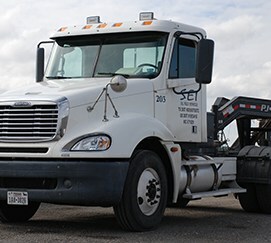 You can rest assured that SEI Oilfield Services will always represent your interests with a clean and professional fleet and staff! We demand excellence from our employees in every area of our business – safety, performance, and professionalism. 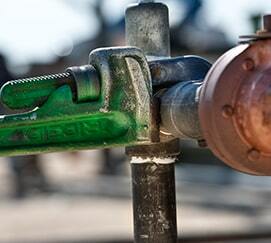 We are very proud of our status as a quality oilfield services company. 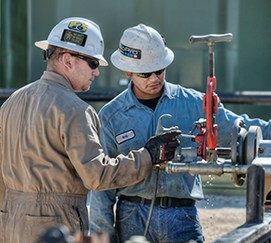 SEI Oilfield Services is a full-service roustabout company offering a broad spectrum of oilfield construction services, including everything from small repairs to complete well hook-ups. We are also pleased to provide quality dirt work, rock hauling, and routine cleaning and maintenance. SEI prides itself on clean, classy work in the field; and our reputation within the oil and gas industry reaffirms that mentality. With over 20 years of experience and development as a company, we are fully equipped, qualified, and prepared to meet all of your oilfield construction needs. We choose to only employ the most qualified, skilled, and hard-working candidates that are in the field today. Safety is our #1 priority, and we ensure that all of our workers receive constant training about the most efficient and safe methods available to perform their work. As a family owned and operated company, we are able to offer a level of personal service that is unparalleled in this industry. We provide multiple points of contact to our clients, and our management team ensures that positive relationships are built and maintained with each customer. Completely Outfitted and Ready to Handle All of your Oilfield Construction Needs!